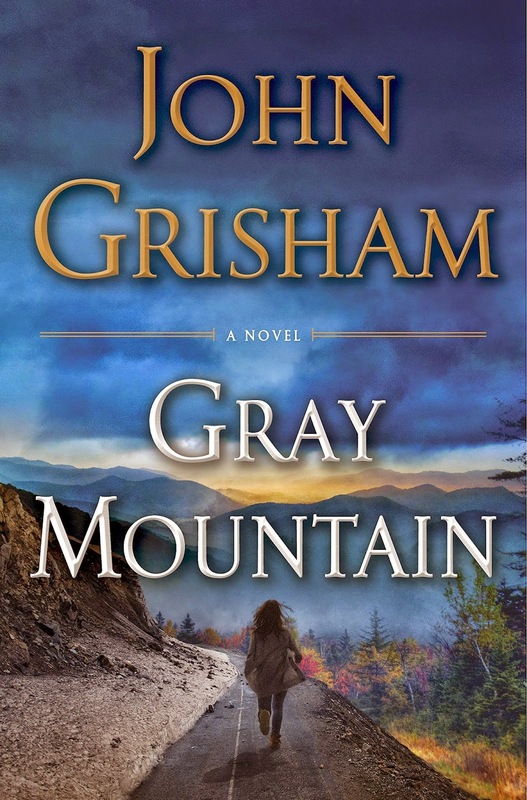 Like him, love him, loathe him or leave him, one thing's for certain: John Grisham's new novel, Gray Mountain, has a tense, breathless trailer. A woman runs through the woods. A phone rings...and rings...and rings, then clicks over to voicemail. We hear a frantic message: "Pick up! C'mon, pick up the phone!" In short order, we learn a body has been found--"his skull was crushed!" --and, for some reason, this woods-runner is in terrible danger. It's a pretty good hook for what may or may not be a "pulse-pounding legal thriller" from Mr. Grisham. According to the publisher's synopsis, Gray Mountain is about Samantha Kofer (the frantic runner in the trailer?) who is a promising associate at a Wall Street law firm--until the recession hits, she's downsized, and she decides to move to Appalachia to work at a legal aid clinic in Brady, Virginia. There, Samantha enters "the murky and dangerous world of coal mining, where laws are often broken, rules are ignored, regulations are flouted, communities are divided, and the land itself is under attack." Whether or not Gray Mountain is primo Grisham or just reheated leftovers from The Firm, there's no denying the fact that Doubleday has produced a decent trailer for the novel. I just wish someone would answer that damn phone!